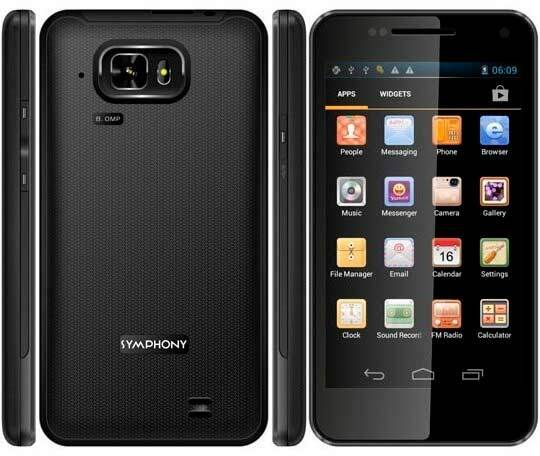 Symphony Mobile already made good impressions with some fabulous Android phones like W50. It’s the best in its class because of its competitive price. I already reviewed it few days ago .in case of you missed it, take a look here. Now I come here today to write something about huge, huge in the sense of its coming from Symphony. Long waited Symphony Xplorer W100 sees the light just before Eid festival in Bangladesh. Symphony W100 is way ahead of W5, W10, W25 or W50. It is run by Ice Cream Sandwich Android operating system. Android there is a 4.3-inch AMOLED screen in front of your eyes to see everything your phone does. At the back there is a 8MP camera with LED flash to capture anything you want anywhere. Symphony W100 has all the features you need these days. It has 0.3MP front camera, 3G, Wi-Fi, Bluetooth, GPS, 32GB memory support, 1600 mAh battery with a 1GHz CPU powering all the stuffs. It also has the sensors like Proximity, Accelerometer etc. There are also a handy numbers of useful apps built-in. 512MB RAM may not enough for multitasking. Price of the Symphony Xplorer W100 is 19,990 taka ($235). There are many better alternatives from HTC and Sony are available in the market at this price range. The only problem is there are no warranty support with those smartphones. So be careful to make your choice.